Beginning its life as a poem written by actor and playwright Karl O'Brian Williams, The Black That I Am is a play that explores black identity from a uniquely Jamaican perspective. 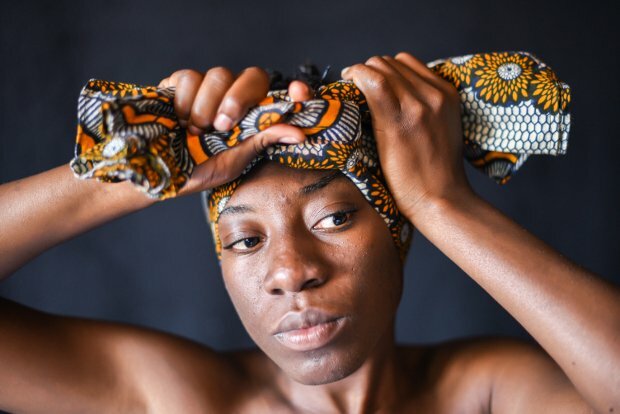 Although originally performed with a substantial cast, the production being staged at Summerhall this Fringe is a one-woman show, with Julene Robinson bringing Williams' diverse characters to life. The play's format centres around four monologues which feature characters of varying backgrounds that are all connected by internal conflicts and an awareness of their own otherness. There's the God-fearing and devout lady in church, whose disapproval of any alteration from the norm causes her to judge and gossip, while the young woman going for a job interview in a big city bemoans her luck and frustrations regarding her inability to achieve the kind of success she deserves. In the end, she concludes that she must reinvent herself or in her own sombre words, 'get the black off [her] back'. The four monologues are interwoven through a voiceover of the poem, which details different facets of racial identity from gender and sexuality to expectation and ideas of home. At times, the transitions between characters is drawn out in a way that disturbs the pace of the dialogue, with the poem feeling disconnected from the monologues themselves, even with the shared themes. Nevertheless, Robinson is a terrific performer, easily switching from character to character with precision and charisma. Her version of The Black That I Am hasn't lost its overall significance or impact, despite the reduced number of bodies present on stage. Upper Church @ Summerhall, until 27 Aug, 11.15am, £8 (£6).